Your X-COM Wiki featuring 2,291 articles and 3,972 users. In other languages: Español, Pусский, Français, 한국어. This site is dedicated to X-COM, a computer strategy game series introduced in 1994 by MicroProse. This wiki contains a wealth of information including strategy, tactical tips, plus an in-depth look at how the game functions. If you love X-COM and want to contribute, please see the Community Portal. All rookies welcome! Disclaimer: To be absolutely clear, this site is dedicated to a series of computer games and not to general conspiracy theories regarding UFOs and aliens. XCOM 2: War Of The Chosen DLC announced! Firaxis has announced "War Of the Chosen" the next XCOM 2 DLC to be released in August 29th. The DLC will introduce several new enemies, including the Chosen, an elite alien team consisting of the Assassin, the Hunter and the Warlock tasked with recapturing the XCOM commander, along with ADVENT's new Purifier and Priest units. As for XCOM, there will be 3 new classes, Reaper, Skirmisher and Templar representing Resistance factions that you'll need to recruit to your cause. And finally, the Lost will be introduced, which consist of mutated humans who dwell in the ruins of Earth's cities that were destroyed in the initial invasion. XCOM's Twitter account has just posted a poster teaser for XCOM 2: The Real War Begins, the expected expansion to Firaxis' latest release in the XCOM series. Details of the new expansion will be revealed next Monday, June 12th at the E3 convention. Pavonis Interactive, formerly Long War Studios, has released a new version of its famous Long War mod for XCOM 2. Long War 2 adds several new classes, equipment, research, aliens, missions and more, while increasing the duration of the game. Long War 2 can be downloaded through the Steam Workshop page. Steam have a one third off weekend special on XCOM 2 this weekend. It is now possible to start the preload of XCOM 2 through Steam (~24.6 Gb download). Firaxis has already announced the release schedule for the different regions and has made available the ingame characters of the Development team for use in XCOM 2's Character Pool. Several reviews have been already released on the major gaming sites - some spoilers might be included on those, read at your own risk. Good luck commanders. The Official XCOM 2 "Retaliation" trailer has been released. You can check the video here and for more ingame action, you can check Beaglerush's XCOM 2 gameplay videos: War Hand, Blacksite and Legendary War Hand. XCOM 2 will be released on February 5th, 2016. XCOM2 has been made available for pre-order on Steam in addition to XCOM: Enemy Unknown being free to play for all users until 10am PT on Sunday, September 13 with a 75% discount for anyone who purchases the game during the same period. This discount also applies to all downloadable content. Like the Elite Soldier Pack that came with pre-orders of Enemy Unknown, XCOM2 pre-orders come with the Resistance Warrior Pack which has more soldier customization options. Firaxis has released new footage of the upcoming XCOM2 game, with a focus on the Avenger, the mobile base used by XCOM to fight the ADVENT forces. Highlights include a tour through the base facilities and XCOM's Chief Engineer and Scientist, as well as a display of the soldier customization and the strategic layer. The developers of OpenXcom have released the first Nightly (a.k.a. 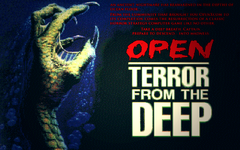 beta version) of OpenTFTD, an open source reimplementation of XCOM: Terror From The Deep. OpenTFTD comes included with the engine of regular OpenXcom and requires a copy of the original TFTD game to play. Firaxis has released the first video of XCOM 2 gameplay during the E3 2015 conference. The footage features a tactical mission where XCOM troops have to blow up an Advent target and it shows several enemies, including the Advent units of Soldier, Captain, Turret and MEC, as well as the Viper and the evolved Muton Berserker. The video also shows the new concealment/ambush mechanic, as well as a Gremlin hacking a turret and the Skyranger retrieval. It is also possible to see Officer Bradford ordering XCOM troops into action and a glimpse of the world under the alien occupation. 2K and Firaxis have confirmed today on the XCOM official website [] the upcoming sequel to XCOM: Enemy Unknown. XCOM2 takes place 20 years after the events of the remake, where the aliens have taken over Earth and the remains of XCOM are waging a guerrilla war against the extraterrestrials. The game will feature new soldier classes, the return of the Snakemen along with other new aliens, procedure generated (random) maps, and will be exclusive to the PC with specific features for mod development. More features will be revealed soon on IGN . Two clues at the Advent website have a series of letters that when combined produce "VIGILO CONFIDO", or the motto of Enemy Unknown 2012. It seems that a new XCOM game is under development and more details should be announced later. 2K has released yesterday a link to a site that presents an alternate reality company called Advent Administration. Its contents have triggered speculation on the 2K official forums and Xcom subreddit that it is related to a new upcoming XCOM announcement. The site contains a rotating globe, pictures depicting a XCOM: Apocalypse style city, one of which seems to contain artwork already present on XCOM: Enemy Unknown, and a downloadable .pdf file uses a font called 'XCOM-Regular'. The site also appears to be under some sort of hacking by an unknown party, with its contents being replaced by phrases such as 'we are still watching'. While all of this is merely circumstantial evidence, 2K is expected to announce a major title on the next E3 Conference in 3 weeks so keep tuned for further details. Maintenance In Progress. In order to improve the wiki's usage, UFOPaedia has been moved to a new server, together with an an upgrade to its MediaWiki software, all thanks to NineX, who has offered to host the wiki. Please reports any bugs you might find in the Talk: Main Page. Site move to the new server complete. Ufopaedia.org was successfully moved to the new server, which should solve the past month issues with accessing the wiki. Anti-spam measures are also going to be installed, which should allow later for new site sign-ups. Big thank you to Jo5hua for the new hosting and all the work updating the site. XCOM 2 on UFOPaedia. An XCOM2 page has been created to collect all the information released so far about the upcoming sequel to Enemy Unknown. Later a section for the new game will be added. Long War on UFOPaedia. The much acclaimed Long War mod for XCOM: Enemy Unknown/Enemy Within now has its own subwiki at the UFOPaedia. Long War features over 700 changes to EU/EW and has been described by Jake Solomon (EU's lead designer) as: "If you liked XCOM, give The Long War mod a shot. Takes XCOM to a new level." UFOPaedia on Twitter. The UFOpaedia now has its own Twitter account (http://twitter.com/UFOpaedia). Please use the hashtag #ufopaedia on your posts. Software Upgrade. UFOpaedia has now been upgraded from version 1.16 to version 1.22. Whilst functionality has been checked and should work as normal, if you encounter anything odd then please let Pete know under the Wiki Software Upgrade section here. Server Transfer. At 10am GMT on the 27th December the UFOpaedia will be transferred to a new server on strategycore. Posting will be disabled for a short period whilst the transfer takes place. Enemy Within mapped out. The Maps section of XCOM: Enemy Unknown now contains overhead images of all the EW DLC's new maps on the individual map pages. Site Maintenance Continues. The good news is that it is possible now to register new users. The bad news is that the spammer problems aren't solved yet, so when registering please don't choose a suspicious username or you might find yourself blocked. Hang in there, Commander. Site Maintenance. We're currently performing some site upgrades in order to solve the spammer problem and other issues. While the maintenance is underway it won't be possible to register new users but already existing users can continue working. Thank you. Spam attacks. We've been having a lot of spammers recently so we're taking the policy of preemptive blocking of users with suspicious usernames. To prevent this happening to you either choose a username XCOM related or page edit right after you register. Thanks. The Bureau: XCOM Declassified section open. The UFOPaedia's section of the new XCOM game is now open. Feel free to start contributing. XCOM: Enemy Unknown maps revealed: The Maps section of the re-imagined game's now contains overhead images of all maps on their individual pages. New Main Page: UFOpaedia.org features a new Main Page, this to better structure the information and news. Each section draws information from two different pages XCOM_News for general news about the games and UFOpaedia News for news on the wiki site. UFOpaedia.org is also home to several X-Com based projects. This page was last edited on 29 January 2018, at 07:36.